Hollywood heavyweights Martin Scorsese, Robert De Niro and Leonardo DiCaprio are possibly teaming up to make the highly-anticipated adaptation Killers Of the Flower Moon, based on the book by David Grann which will be published this week by Doubleday. The book was first picked up for a whopping $5 million by Imperative Entertainment last year, after a bidding war emerged, with Leonardo DiCaprio originally set to produce alongside J.J. Abrams, but it doesn't appear that Abrams is involved anymore. Our first report revealed that Paramount had the top bid at the time with $2 million, but they were eventually beat out by Imperative Entertainment's $5 million bid. Deadline reports that no deals are in place with Leonardo DiCaprio, Robert DeNiro or Martin Scorsese, but all three parties are "seriously considering" taking on the project. Oscar-winning screenwriter Eric Roth (Forrest Gump) wrote the screenplay adaptation based on David Grann's book, with Imperative Entertainment partners Dan Friedkin and Bradley Thomas producing. It isn't known what roles Leonardo DiCaprio and Robert De Niro are eyeing, or if they are only attached as producers at this time. The book by David Grann chronicles the string of murders that took place in the 1920s on the Osage Indian tribe in Oklahoma, which took place shortly after oil was discovered on the Indian reservation. The indians were granted rights that gave them a percentage of the oil sales, but then several Indians started to get killed off. The case became so big that the federal government stepped in, which was one of the first major cases for the Bureau of Investigation, which was later renamed the Federal Bureau of Investigation (FBI). The case was one of the first major successes for J. Edgar Hoover, who lead the investigation and was ultimately named the head of the FBI. Ironically, Leonardo DiCaprio has already played the FBI head in the 2011 biopic J. Edgar, but it seems unlikely that he would play this character once again. 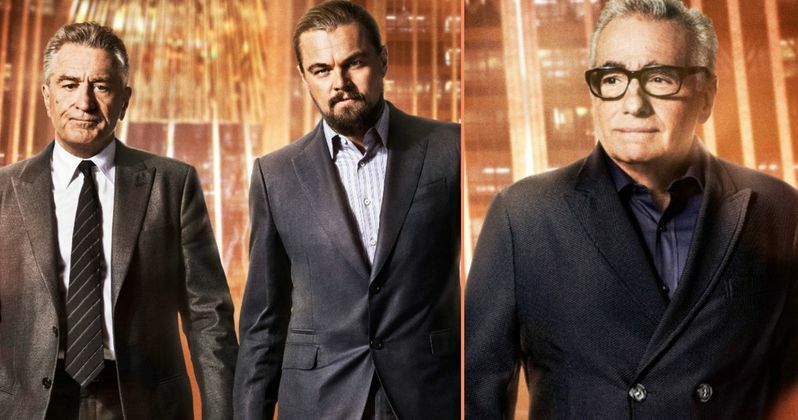 This project will mark the sixth collaboration between Leonardo DiCaprio and Martin Scorsese, following Gangs of New York, The Aviator, Shutter Island, The Departed and The Wolf Of Wall Street, and they are also developing The Devil In the White City. This will also mark the 12th film Robert De Niro and Martin Scorsese are working together on, including The Irishman, which is coming together at Netflix and will also star Al Pacino and Joe Pesci, marking a Goodfellas reunion. Leonardo DiCaprio is coming off his first Oscar win for The Revenant, and has The Black Hand and The Ballad of Richard Jewell currently in pre-production. Robert De Niro most recently starred in The Comedian, and he has a number of projects in development including The War With Grandpa, an untitled Edgardo Mortato project for director Baltasar Kormákur and another untitled project from director Jonathan Jakubowicz, which reunites him with his Hands of Stone co-star Edgar Ramirez. Martin Scorsese most recently directed Silence and the pilot episode of HBO's Vinyl. Hopefully we'll have more on Killers of the Flower Moon soon.